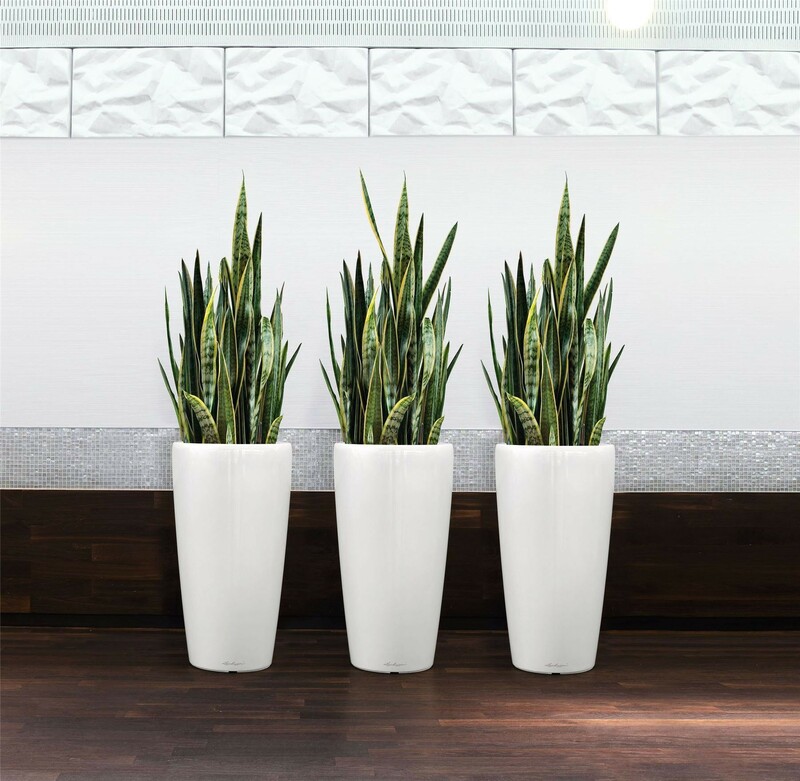 These distinctive Sansevieria, also known as snake plants are very easy to grow low maintenance house plants. With long sword-like leaves, said to have the colour of a Snake, this variegated form has a golden-cream coloured band on the outside of each leaf. They are extremely decorative with a bold upright shape and very robust nature. Needing little care and attention they do best in a bright position. The perfect indoor plant, attractive, easy and very tough, simply give an occasional liquid feed and water when you notice the compost is dry - what could be simpler. Try positioned around the home on their own or in a group, perfect in a contemporary minimalist setting teamed with smart planters. Pack of THREE pot grown plants each supplied at around 40-50cms tall.